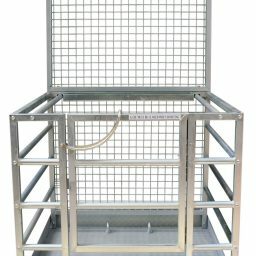 Without the Team BPF Equipment would cease to exist. They are all part of a valued team that has been around since 2001, giving our customers the best experience possible. 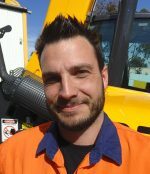 Ben started his career in the family business as an apprentice diesel mechanic servicing a fleet of Bedford Trucks and maintaining the diverse range of production equipment. After qualifying as a mechanic he went on to the big boys’ toys at Scania Trucks, later moving into sales. After Scania he recognised an opportunity in the forklift game and became the State Manager for Linde Forklifts here in South Australia. With his knowledge of mechanics, sales and a desire to “be his own boss” he started BPF Equipment with his very tolerant, beautiful wife Terry. Together they built up BPF Equipment from humble beginnings to the diversified business you see today. Straight to the point, Ben calls a spade a spade and sometimes has a grumpy awe about him but in fact has a good sense of humour – you do need to “dig“ for it at times…. .
One thing that pricks Bens ears up is the sound of a rumbling V8. He has a rumbling V8 Ute but one issue that he faces is; if he took the dog, Terry would have to sit in the back! Ben is passionate about his company and is always looking at options and equipment to better serve the customer. Starting as a hairdresser owning her own salon, Terry quickly adapted from sweet old ladies to grumpy old men! 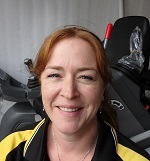 With the new change of life in 2001 to support her husband in the Capital Equipment Industry, Terry has successfully taken on many challenges over the years. This experience has given her the knowledge to keep things running smoothly behind the scenes and to give customers the support they require on a day to day basis. Claiming the title “Boss Lady” if you don’t pay your bill, you answer to Terry! Likes –Cats, her kids, chocolate and sometimes Ben! Dislikes – Tea made with a tea bag. Daniel will be a familiar face to some as he has come back to BPF Equipment after 10 years away. Daniel resides down South and originally started work as a furniture polisher. He left that job in pursuit of something more that he could get his teeth into and started work for Prompt Hire. This is where he picked up his interest in equipment, especially earth moving and mini loaders. 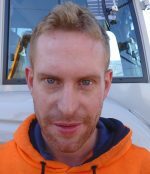 He worked for BPF after Prompt hire for a period of about 3 years before leaving and starting his own business “Awesome Concrete” This is when Daniel bought his own machinery to do the concreting work. What did he buy?? — a NEW Kanga PW628 with a 4in1 and a NEW Takeuchi TB216 – 1.7 Tonne excavator. So if you have any questions about those 2 machines ask Daniel, he knows them better than anybody. 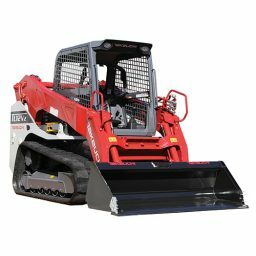 Daniel is the man for Takeuchi at BPF ! 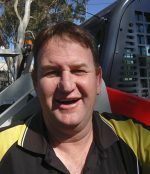 John AKA Jono grew up on a large hobby farm in Inglewood, South Australia. He had exactly that, lots of hobbies! From pulling apart anything with an engine to running amuck on go-karts and motorbikes his parents were always kept on the edge of their seats. 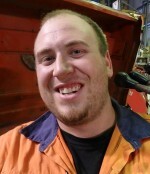 Jono did his apprenticeship in the Automotive Industry using the skills he taught himself growing up on a farm. Seeking a job that offers more variety, BPF Equipment saw Jono as a genuine team player with the vital technical skills required to join the team. His work ethic, abilities in problem solving and customer service skills will ensure that your machine will go back to work with confidence. Giving Jono time to get back to eating the last piece of cake! Likes – Anything with an engine, beer and fishing. Dislikes – Doing the dishes. Liane grew up in Athelstone in the north east foothills of Adelaide and loved going ‘up the Gorge’ in summer to cool off in the shade instead burning to a crisp at the beach. She started her administration career in the Commercial Kitchen Equipment industry supplying cafes, restaurants, hospitals. After 16 years she decided she needed a new challenge and found that in the Heavy Engineering Industry where she learnt about fabrication quality and safety while handling all things administration and maintenance. 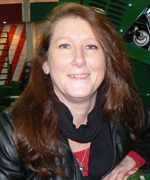 Joining BPF Equipment in September 2015 for a new chapter in her life she has settled in well and is enjoying being back in customer service where she can support our valued customers and our team daily. Likes – Camping up the Murray River, bonfires, music and cider. Dislikes – Arrogance, mosquitos and aero guard. Michael is local Adelaide man, growing up around the Gawler area. He started out fencing but decided early on that he wanted a trade behind him. Michael spent the next 4 years qualifying as a mechanic specialising in cars and light vehicles. 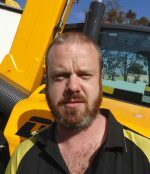 Michael joined BPF equipment to acquire new skills in elevating work platforms and earthmoving equipment to ultimately improve his skills and progress his knowledge further. When Michael is not at work he enjoys being around, and even working on, cars and bikes. Vitaly came to Australia from Kazakhstan when he was 12 and from a young age has always enjoyed taking things apart and improving them. He has been a fully qualified mechanic since he was 21 and has only known mechanical and electrical work. 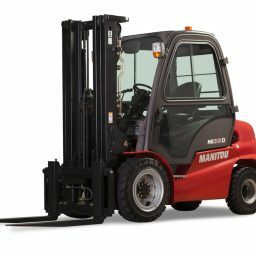 He has worked on cars, trucks and boats, pallet jacks to container loaders for the last 18 years. He is head mechanic for a national drifting championship winning team and travels interstate regularly for racing events. He is really enjoying being a part of the team here at BPF to be able to bring better service to our customers. 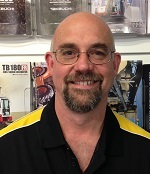 Ted left the family farm to pursue a career in the Trucking & Earthmoving Industry with a keen interest in mechanics. After spending around 20 years in the game, he decided to join the family business working in the factory as the Maintenance Manager. 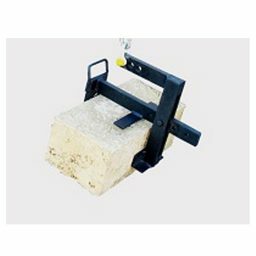 He was responsible for the maintenance and repair of the packaging and milling machinery along with the company vehicles. Ted now spends his time terrorising his older brother with constant reminders of embarrassing incidents from the past. When he’s not terrorising Ben, Ted is one that BPF Equipment can rely on. With his vast knowledge of machinery and ability to think outside the square he is a valuable asset to the company. Likes – Red wine and Jack Daniels. Dislikes – Brussel sprouts and Jim Beam. Ryan rebuilt his first engine for his own car while still at school at the age of 17 and realised his passion for cars, especially his VK Calais V8. He worked at GMH Holden for 7 years on the engine line and when Holden’s went bust he was given a fantastic opportunity to be doing something he loves here at BPF Equipment. He is excited to complete his apprenticeship to secure his career in this industry, and is enjoying the variety of machines at BPF and the fact that no two days are the same.